Fox - you didn't know this pub went 5 years ago? Nor the Crown and Grapes (Sutton) in the last couple of weeks. Keep up - don't post, or go back to prison! More crap from the multiuser. Hes having a bad day after an imaginary pub crawl with his imaginary friends. If he carries on being a naughty boy his mum will stop him using his computer for his imaginary nights out. Posted as closed over 5 years ago on here. Foz finds it hard tp keep up! Some assistance. The Crown burned down at the weekend - and The Grapes closed not long before. Revolution closed down. It became Rift and Co. But that closed about 2 years ago. The Old Bank across the road is a decent pub. 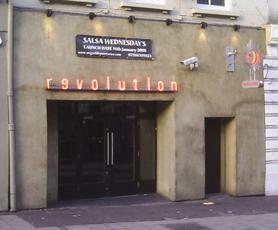 Went to use revs tonight and its closed.